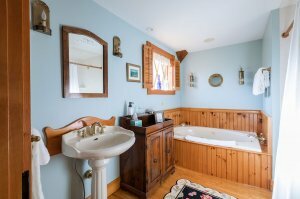 This second-floor Carriage House room has views of Penobscot Bay. 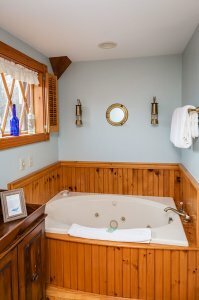 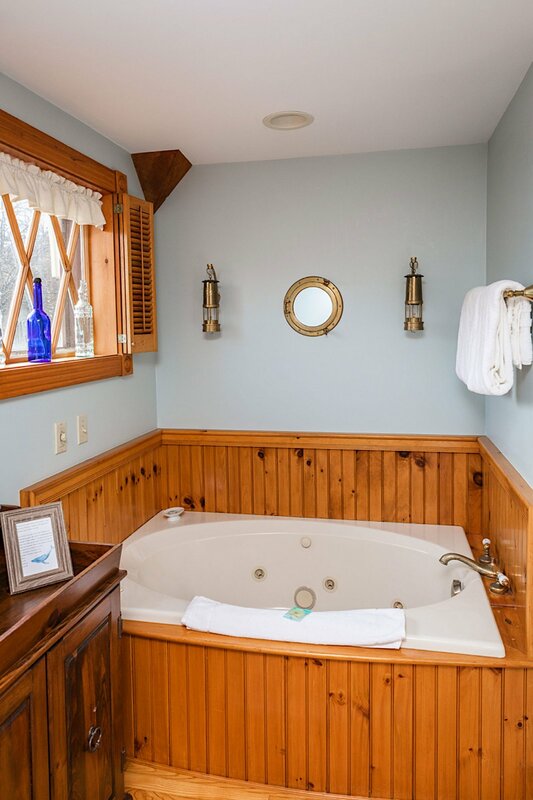 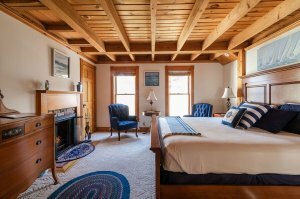 Accented by the Maine hemlock post and beam ceiling, a king size bed furnishes this generous room and its spacious private bath with a shower and Jacuzzi. Its captivating character makes for an enchanting choice for longer stays or for those who just want to have space to relax and truly refresh themselves through the coastal ambiance. 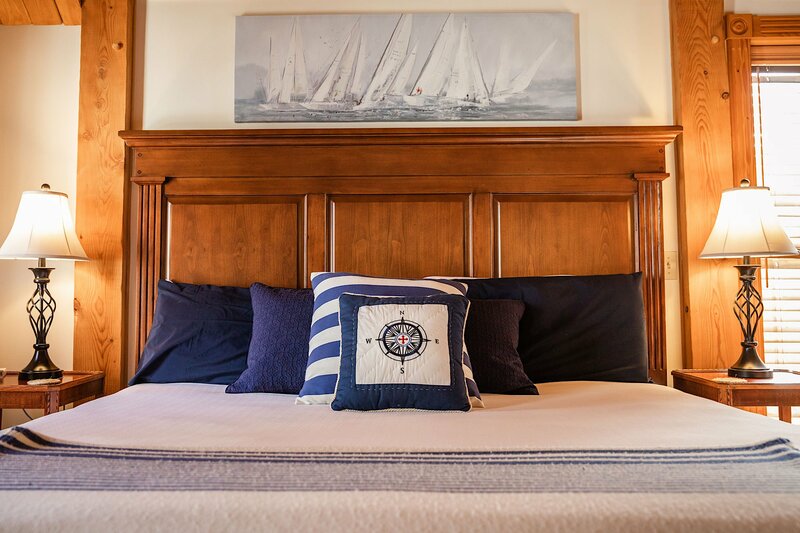 The Captain’s Quarters are usually in the aft (rear) of the vessel, near the chart room and the helmsmen. 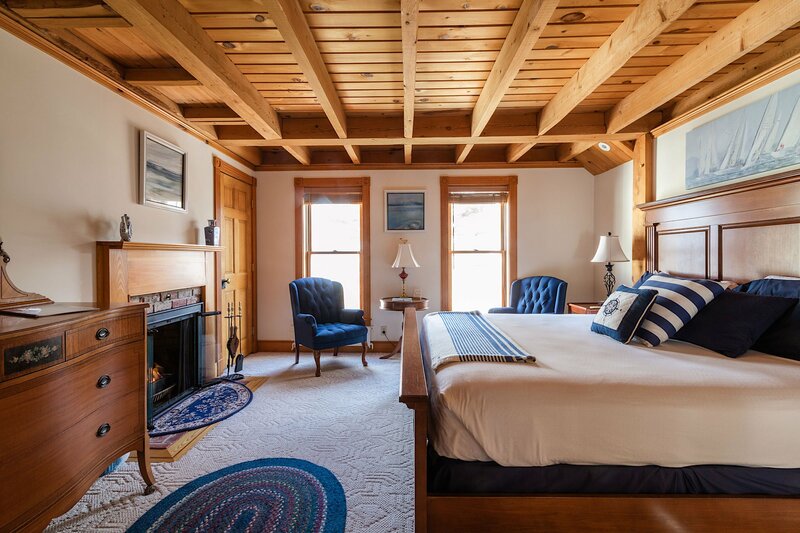 However, it is always the most luxurious of the quarters on any ship, thus our room’s aptly chosen name.